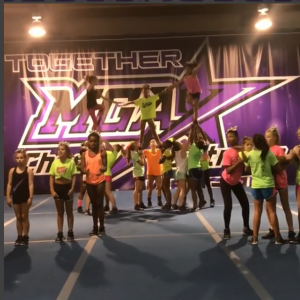 FUNdamental Cheer is perfect for children ages 3-11 who are interested in learning the fundamentals of cheerleading, with less commitment than our All-Star program. Our FUNdamental Cheer Program teaches teamwork, dedication, perseverance, all while helping to build children’s self-esteem. Your athlete will learn a routine and perform the routine for a panel of judges with the opportunity to earn Superior Honors! NO TRYOUT required. This program is open to all skill levels. FUNdamental Cheer practice will be held on Mondays and Wednesdays from 6:00 pm to 7:00 pm. Registration is $45 and the classes are just $75 a month.